What exactly is CrossOver Solaris? 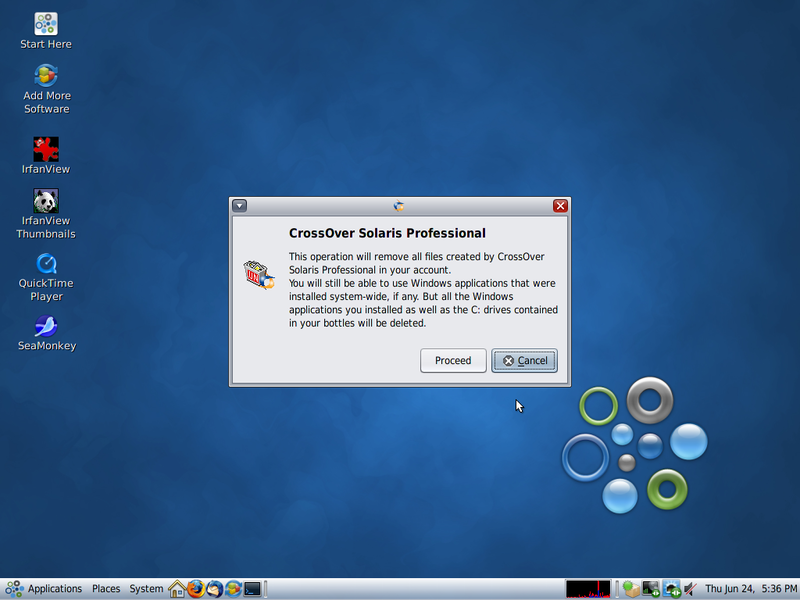 CrossOver for Solaris is a commercial variant of Wine released by CodeWeavers with (currently) limited support for many of today's most popular office application and games. 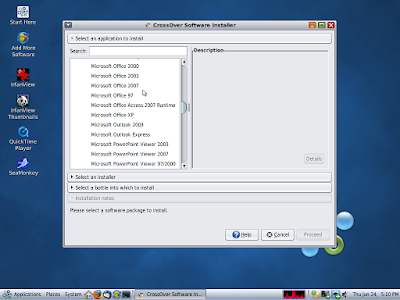 CrossOver Office and Games for Solaris has been compiled on Solaris 10 and tested for performance and stability with many of todays most popular games such as Guild Wars, Eve Online, and Steam games like Half-Life 2 and Portal. As well as many of todays most popular Office application such as Microsoft Office 97 to 2007, Quicken, Quickbooks, Photoshop, Internet Explorer and many other not mentioned applications. 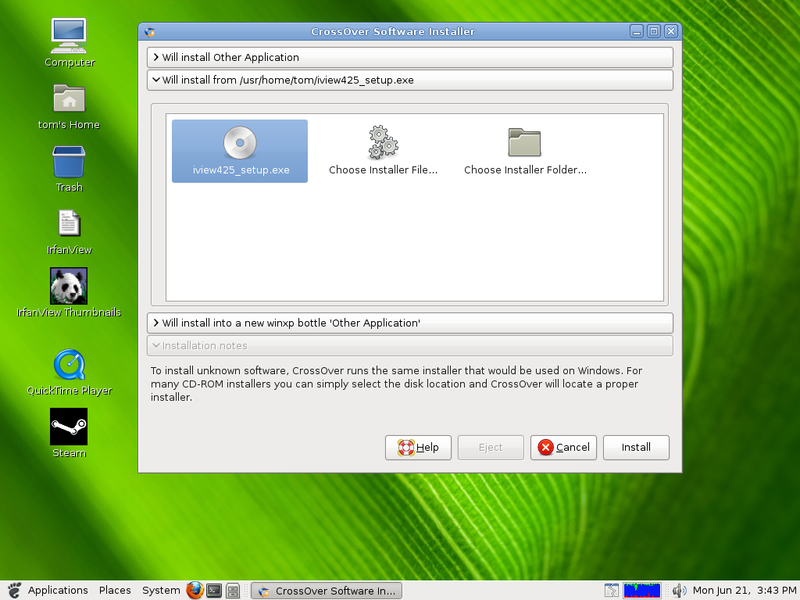 CrossOver for Solaris will also run on OpenSolaris systems, in this introduction I will be using OpenSolaris 2009.06 the last stable release of OpenSolaris. 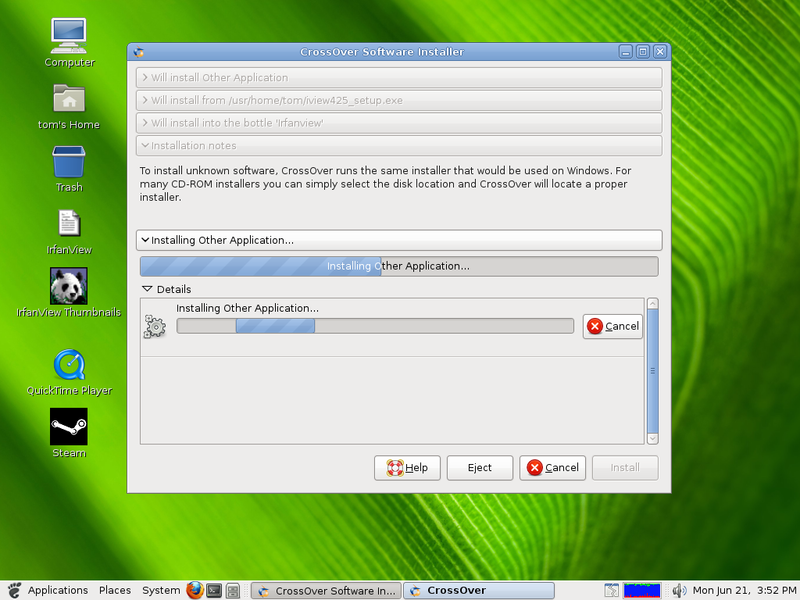 Currently the only way to get CrossOver Office or Games for Solaris is to first purchase a Linux licence of CrossOver. 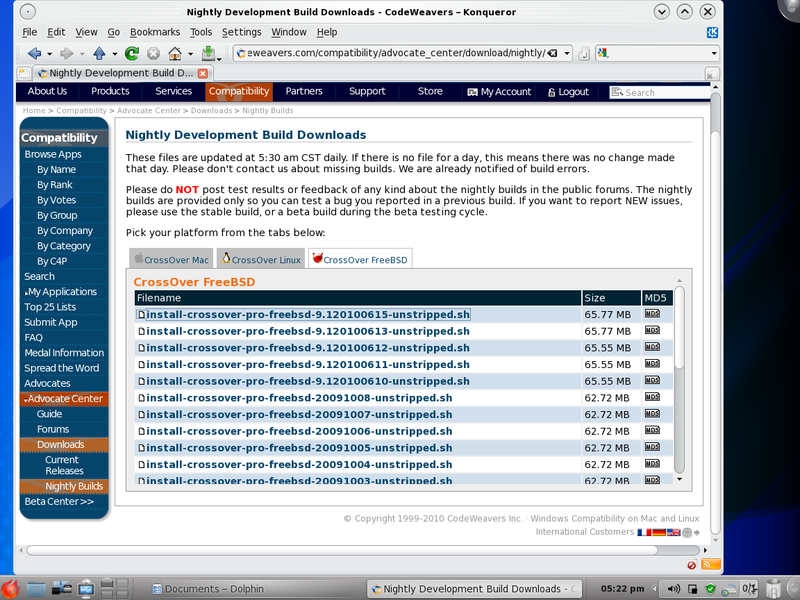 After your purchase you can then go to "My Downloads" (Your Downloads) and then select the "Unsupported Downloads" tab and then select the CrossOver Solaris tab. At this time you can download both CrossOver Office and Games 8.0 and the new 9.0 release from CodeWeavers. Many applications and games that are not on the above list will still work just fine. For a list of such applications, visit the CodeWeavers CrossOver Compatibility Center. At the compatibility center you can search for games, read about other users' experiences, and post tips and hints for other users. If your a current owner of CrossOver Office you will receive a complimentary copy of CrossOver Games. If by chance you don't currently own a copy of CrossOver Office you can purchase the stand alone Games product for only $39.95 with your purchase you will receive *limited support* through their support ticket system at this time, you can join in the discussions that take place at the C4 compatibility center, join a mailing list, vote for your favorite applications and games, and much more. A purchase also goes toward helping support a full time Wine hacker! 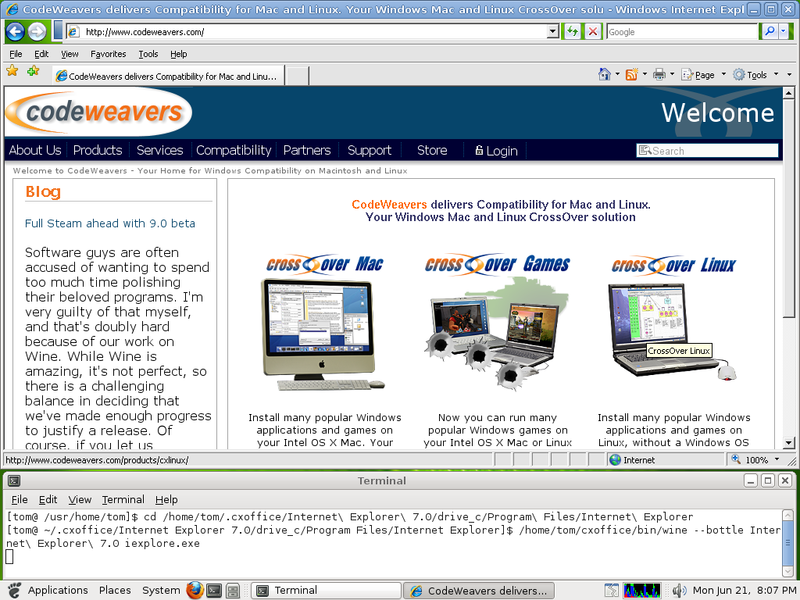 the folks at CodeWeavers have over the years given back well over 98% of all the code modifications that went into CrossOver to the Wine project. 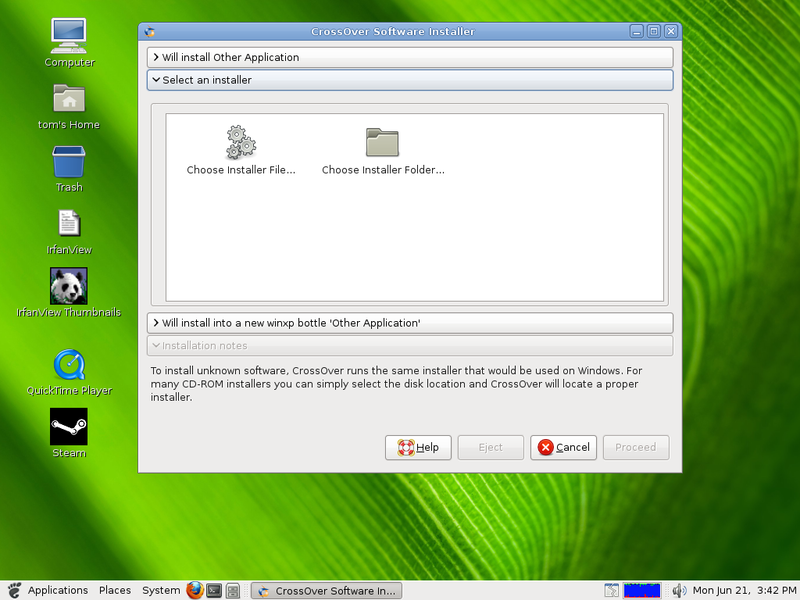 It also a good idea if you purchase CrossOver for Solaris to VOTE for Solaris in the Compatibility center. 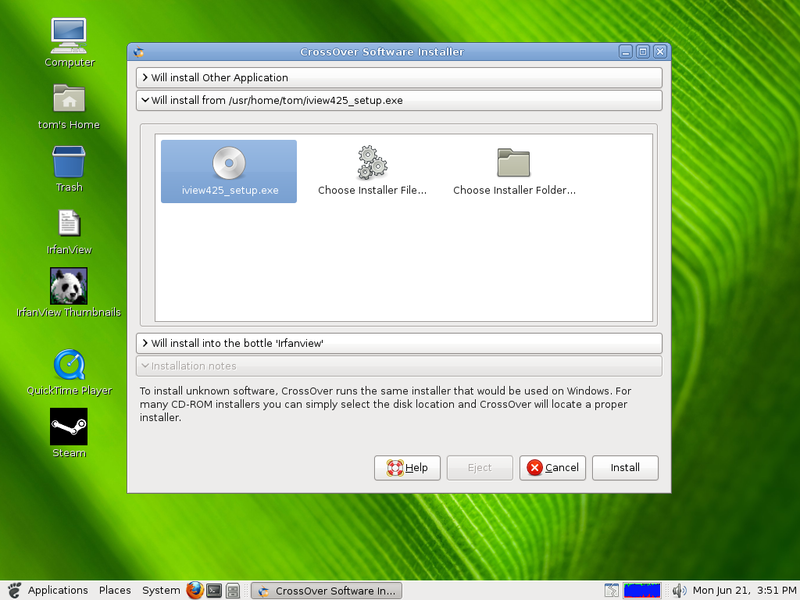 When you select "Install Windows Software" from the menu the CX GUI will start. After the install has finished your application or game will be placed in the CX Manage Bottles UI window. 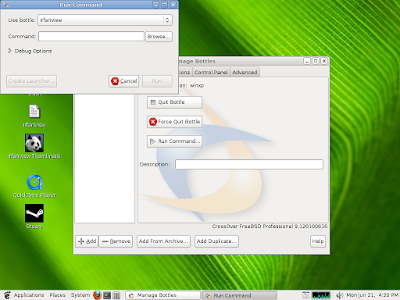 In Manage Bottles you will see "Advanced Settings" tab. 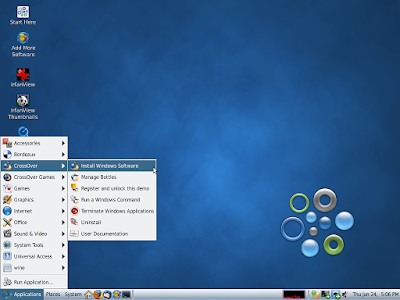 From this tab you can create Archives of your installed bottles, perform backups and more. 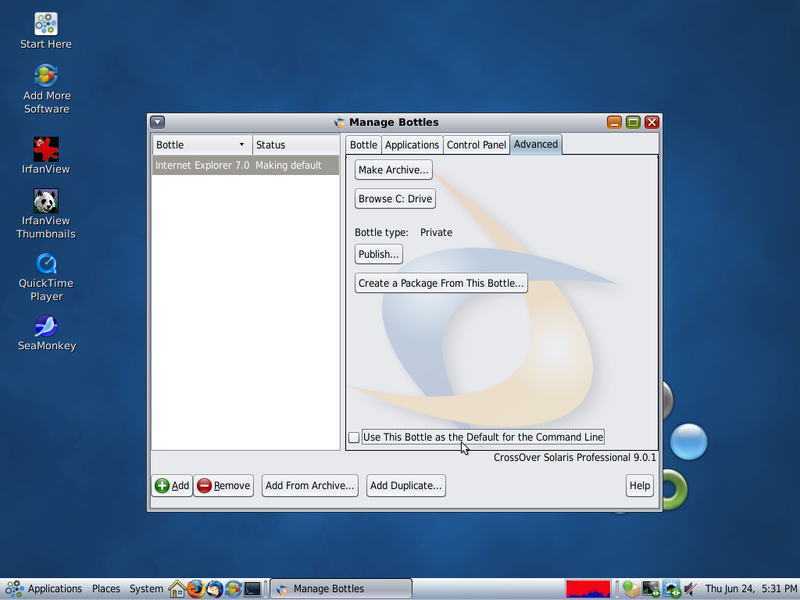 In the Manage Bottles UI you can run commands in a bottle, view installed applications and games and view the control panel settings. 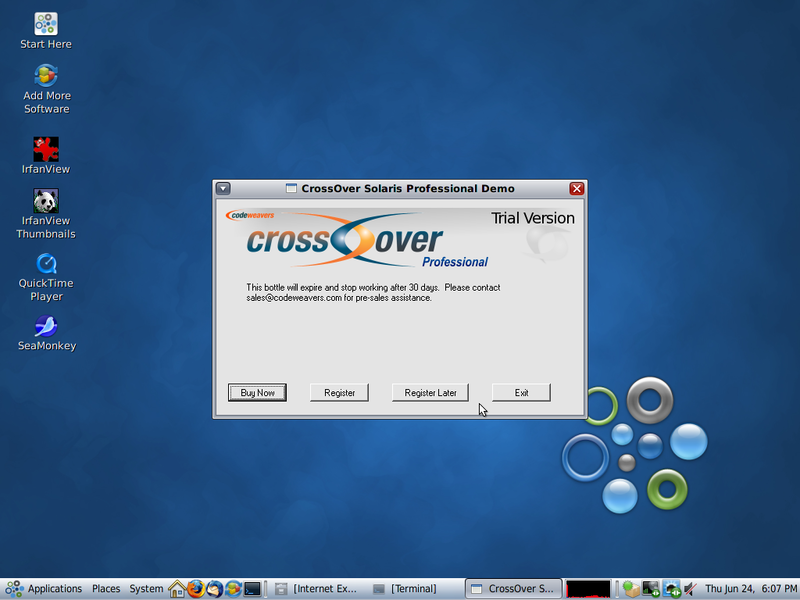 To register your copy of CrossOver Solaris select the "Register and unlock this demo" from the system menu. You will need to enter your email address and password and the register tool will connect to the CrossOver store and proceed with the registration. To run a Windows command select "Run a Windows Command" from the system menu. Select a bottle and then run a Windows command from that bottle. With CX Office and Games 9.0 and onward you can now easily create log files and use debug channels from the Run Command UI. 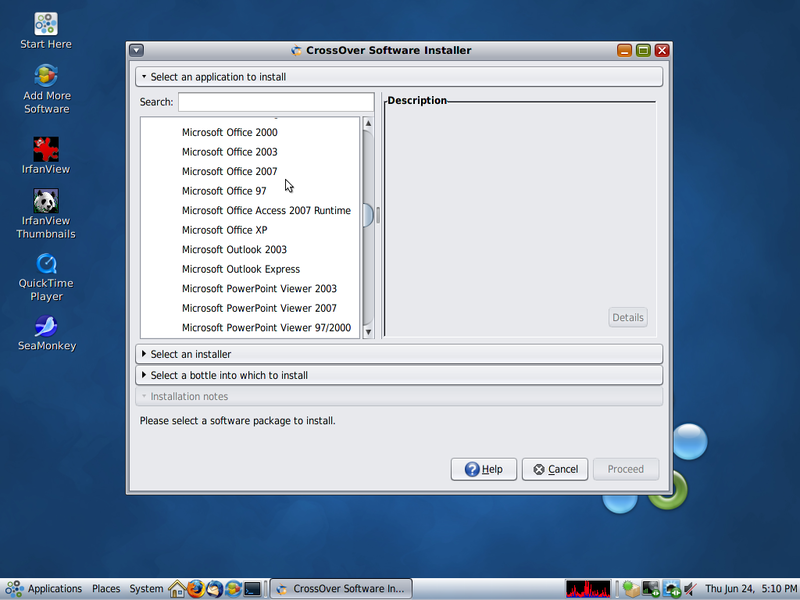 To uninstall CrossOver Office or Games select "Uninstall" from the system menu. You can choose to leave all of your previously configured bottles intact if you wish to do so. 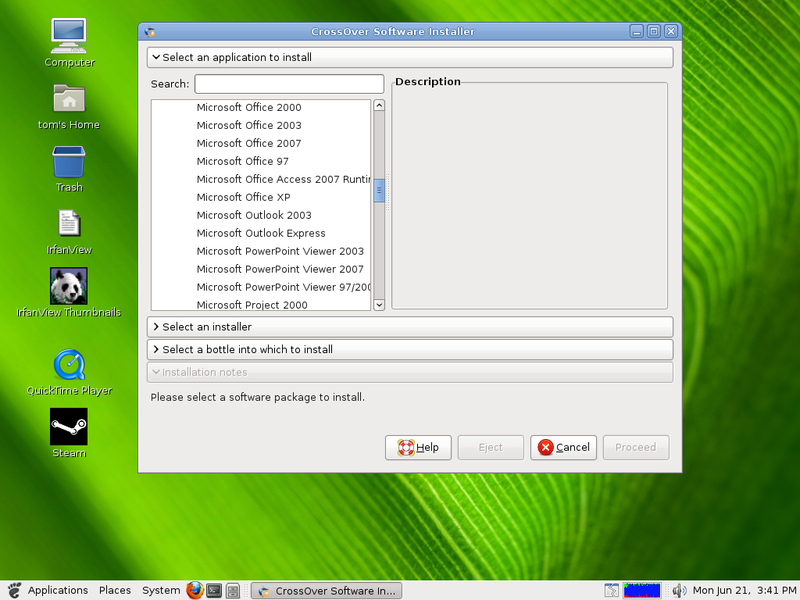 To run a Windows Application or Game from the system menu simply navigate to the menu entry and choose the installed Application or Game. Or if your a advanced user you can run any application or game from your terminal. 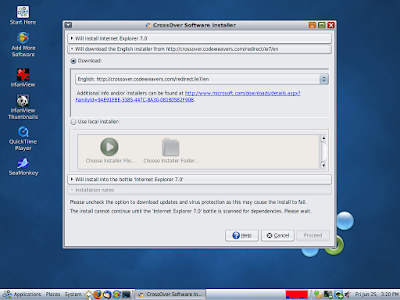 Here is a screenshot of IE 7 running on OpenSolaris with CrossOver Solaris. CrossOver also runs on FreeBSD and PC-BSD, see this older post for more information on CrossOver for FreeBSD. 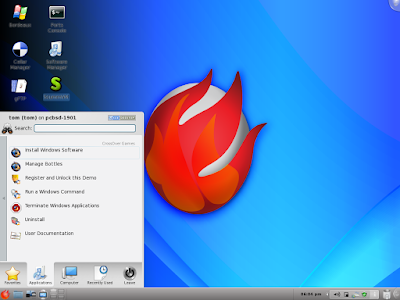 In a future post I will be doing a review of Microsoft Office and IE 7 on FreeBSD and OpenSolaris. What exactly is CrossOver FreeBSD? 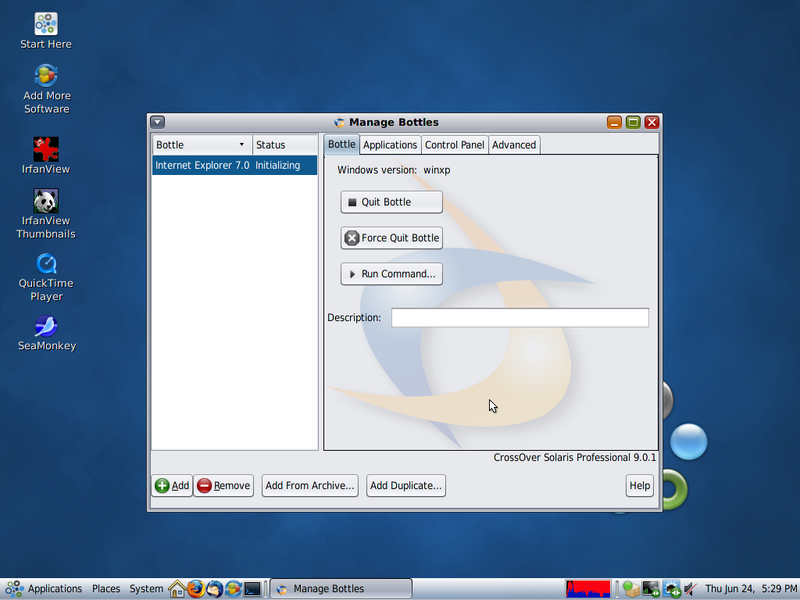 CrossOver for FreeBSD is a commercial variant of Wine released by CodeWeavers with (currently) limited support for many of today's most popular office application and games. 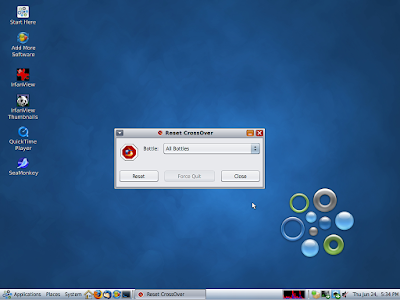 CrossOver Office and Games for FreeBSD is tested for performance and stability with many of todays most popular games such as Guild Wars, Eve Online, and Steam games like Half-Life 2 and Portal. As well as many of todays most popular Office application such as Microsoft Office 97 to 2007, Quicken, Quickbooks, Photoshop, Internet Explorer and many other not mentioned applications. Currently the only way to get CrossOver Office or Games for FreeBSD is to first purchase a Linux licence of CrossOver. After your purchase you can then go to "My Downloads" (Your Downloads) and then select the "Unsupported Downloads" tab and then select the CrossOver FreeBSD tab. 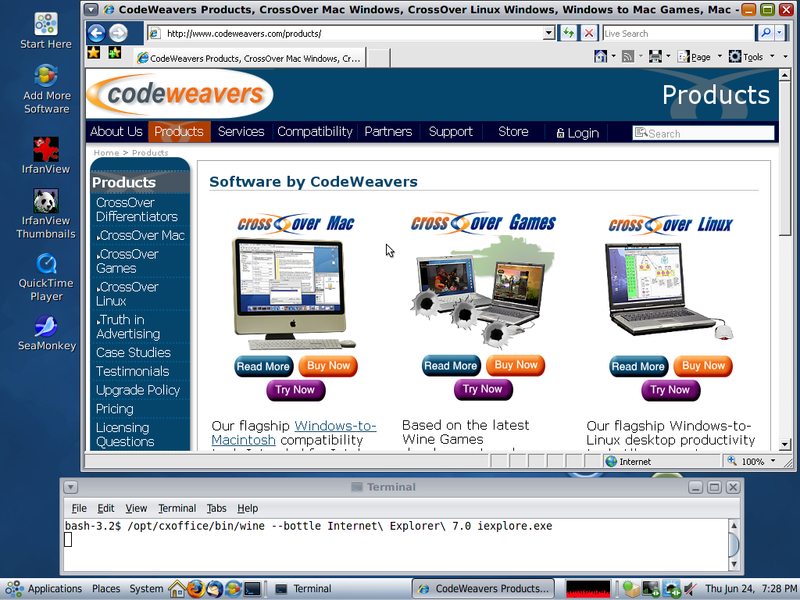 At this time you can download both CrossOver Office and Games 8.0 and the new 9.0 release from CodeWeavers. A purchase also goes toward helping support a full time Wine hacker! 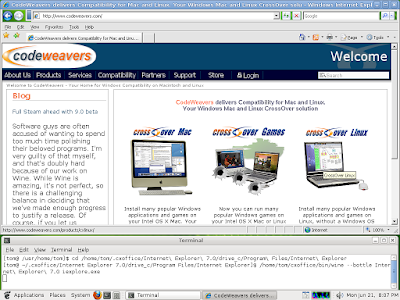 the folks at CodeWeavers have over the years given back well over 98% of all the code modifications that went into CrossOver to the Wine project. 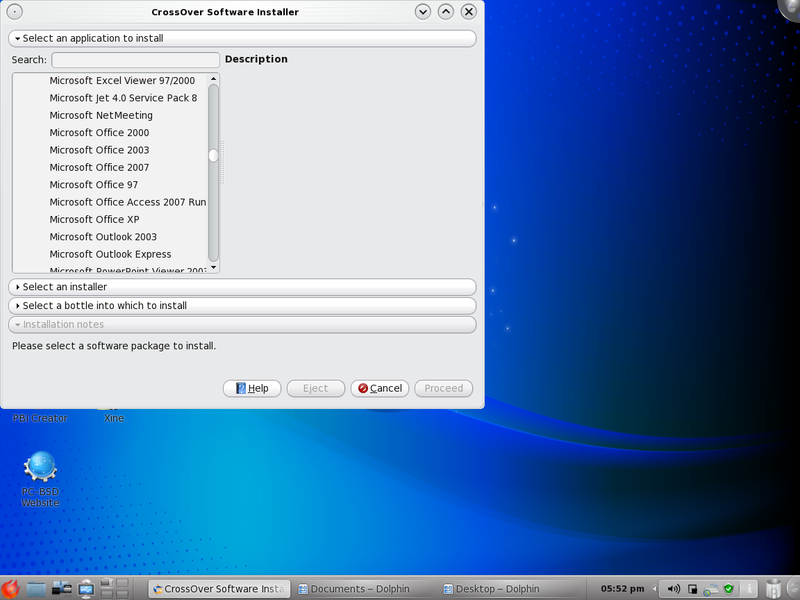 It also a good idea if you purchase CrossOver for FreeBSD to VOTE for FreeBSD in the Compatibility center. 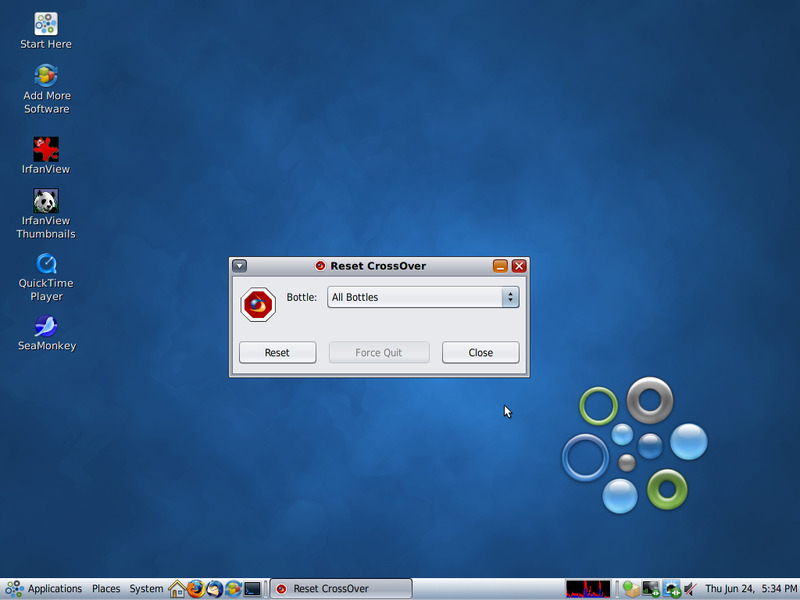 To register your copy of CrossOver FreeBSD select the "Register and unlock this demo" from the system menu. You will need to enter your email address and password and the register tool will conect to the CrossOver store and proceed with the registration. 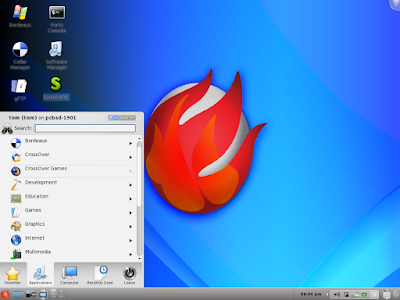 To run a Windows Application or Game from the system menu simply navigate to the menu entry and choose the installed Application or Game. Or if your a advanced user you can run any application or game from your terminal. See the IE 7 screenshot below. If you sign up as a Advocte you can get nightly development builds of CX FreeBSD and test newly implemented features and bug fixes! 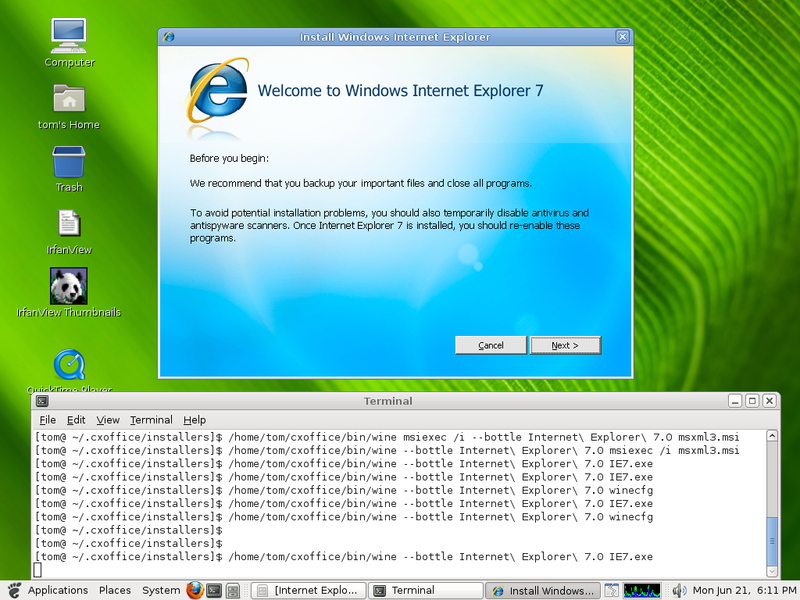 Here is a screenshot of IE 7 running on FreeBSD 8 with CrossOver FreeBSD. 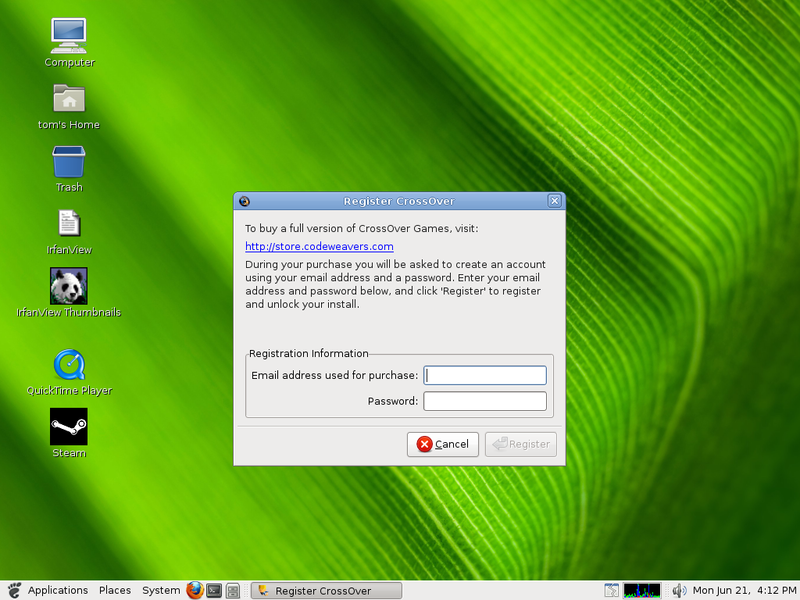 CrossOver Office and Games also runs on Solaris 10 and OpenSolaris! 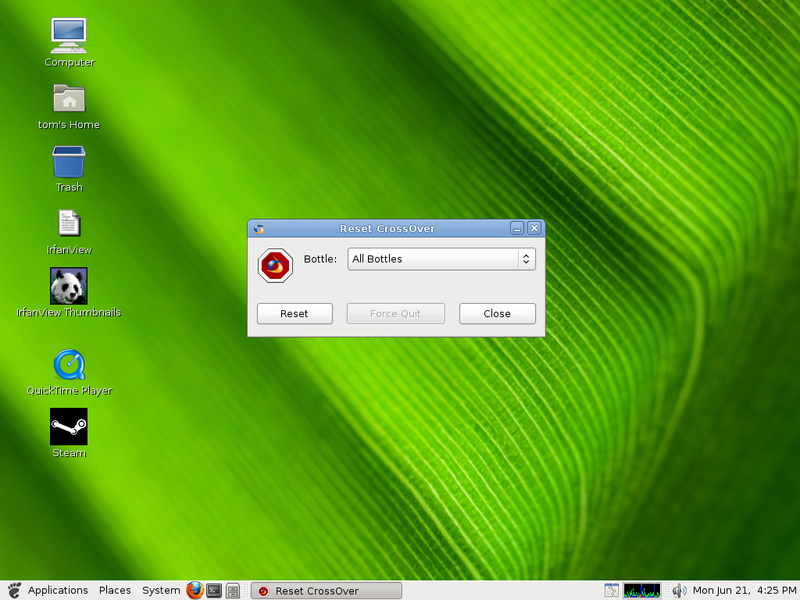 In my next post I will be doing a introduction to CrossOver Office and Games for Solaris. 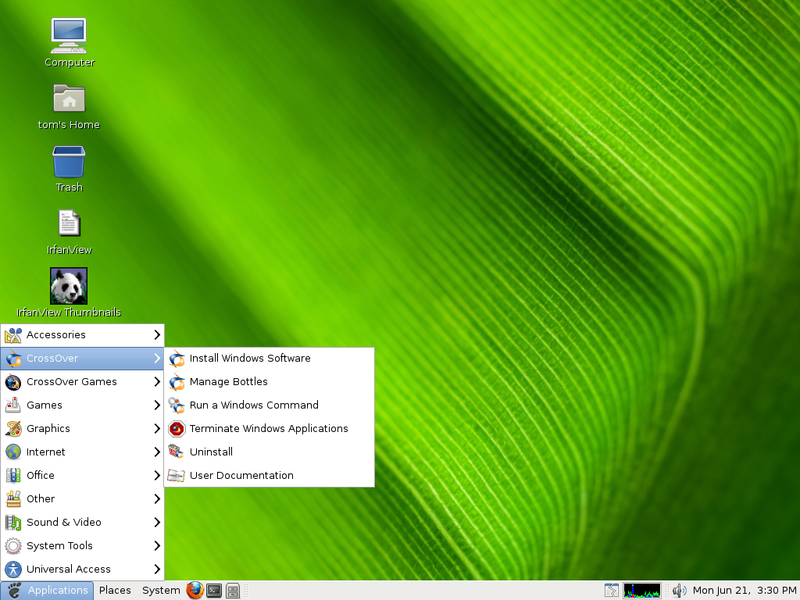 The Wine development release 1.2-rc3 is now available. 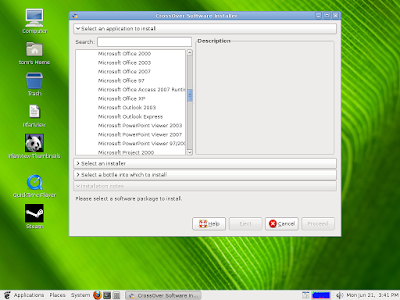 11367 Flysis: Launcher resolution dropdown box lists no options. 11560 Sigmaplot 10 demo refuses to start; license manager problem? 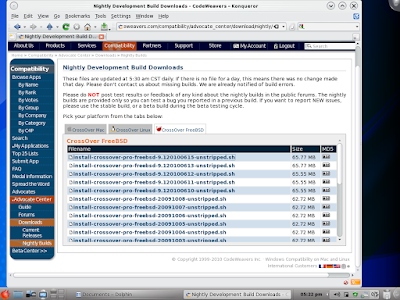 12880 Sony Ericsson software fails to install. 14910 Errors creating PDF files using WINEPS printer using CUPS form PAF. 15433 Failure to load mp3 in popup file browser in Audiosurf. 18575 FlashFXP installer quits: "Cannot register "C:\Program Files\FlashFXP\IEFlash.dll"
20226 builtin xcopy.exe crashes with page fault when source directory does not exist. 22143 Lemmings game clone (Lemmix): problems running under Wine. 22702 Cyberboard maps, markers and units display as all black. 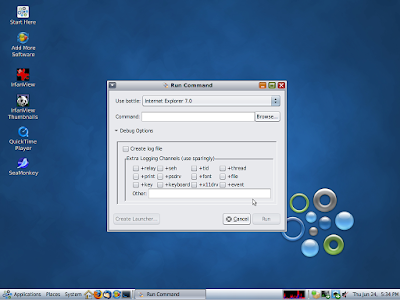 22909 Drawn text overlapps after the second character. Get a computer with Linux installed. 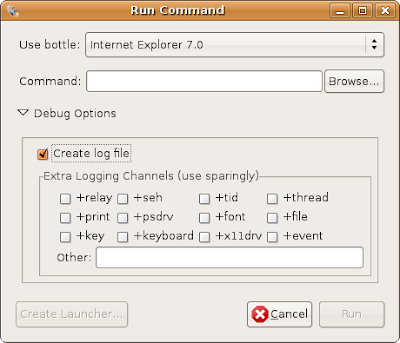 Install Wine and then test it with our test programs. Finally get the test result. Get Longene installed, test it with our test programs and then get the final test result. 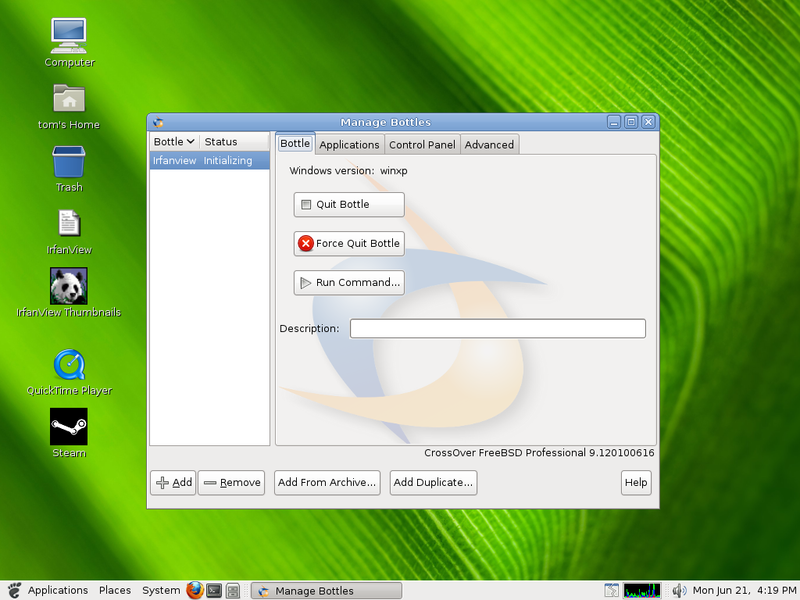 TestApi program mainly operates on file, registry and windows message. 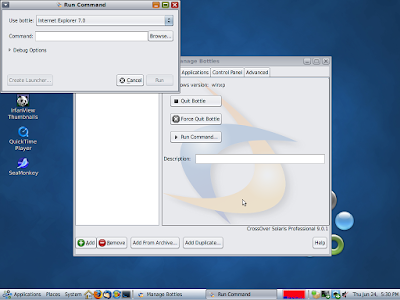 TestAll program integrates all the above operations tested.Tests program are coded in MFC [source code download: http://www.longene.org/download/TestCase.rar ]. According to the number of files, registries and messages required to test, reader/writer processes are created. File tests: Thread1 first creates a file and waitsThread2 to read. Then repeat it. After Thread1 created the file, Thread2 is in charge of read and delete the file. Then repeat it. Thread1 and Thread2 synchronize with each other by Event. Registry tests: Thread3 first creates an registry key, and waits Thread4 to read. Then repeat it. After Thread3 created the registry, Thread4 is in charge of read and delete the registry key. Then repeat it. Thread3 and Thread4 synchronize with each other by Semaphore. Message test: Thread5 is responsible for send an message, then waits the main thread to receive. Then repeat it. After Thread5 sent the message, the main thread is in charge of receive the message. Then repeat it. Thread5 and the main thread synchronize with each other by Mutex. Client process sends the get_handle_fd request to wineserver process. Note that there should be two system calls, one is the write system call to pipe by send_request function, and the other is the read system call to pipe by wait_reply function. Wineserver is scheduled and runs. 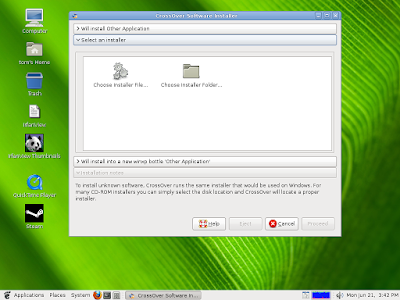 Wineserver find the opened file descriptor of target file in the client process in terms of the handle, and sends it to the client. There must be at least 3 system calls involved. One is the write syscall to pipe by send_reply function, next is the poll syscall alike select syscall and the read syscall to pipe by read_request function. Client process is scheduled to run. Client process makes use of dup syscall to duplicate a new temporary file descriptor. Client process calls write syscall to write the file by the duplicated file descriptor. Client process calls close syscall to close the duplicated file descriptor. In contrast, Longene don't have the mentioned schedule operations in 2 and 4 above because of wineserver's removal. Longene has fixed the send_reply and read_request's implementation from inter-process communication to system call. So it decreases the time spent in inter-process communication.